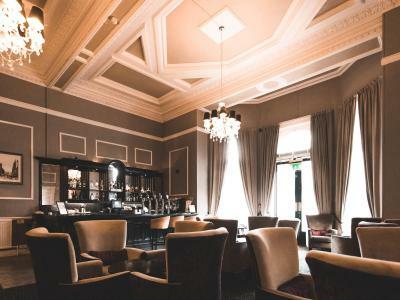 Lock in a great price for Great Victoria Hotel – rated 8 by recent guests! Value for money. Good breakfast. Staff very helpful and friendly. The staff receptionist was lovely and so was the hotel's decor. The staff were very welcoming and did call us to check on our needs. Although we didn't get the breakfast, the early booking price was decent. Good central location. Old style building which has a lovely theme inside from when I stayed years ago. Location good. 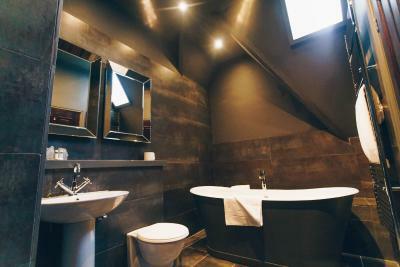 Nice bathrooms. Hallways are lovely. Faces law courts and that area outside is nice. 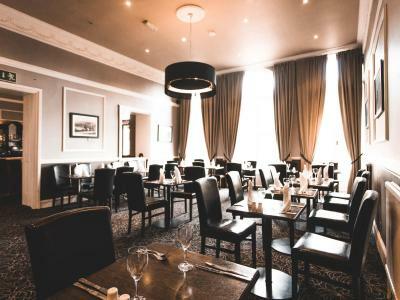 Great Character Hotel, well situated with plenty going on in the Immediate Area. Friendly and Very Helpful Staff. Comfortable Bed, nice and quiet in the room made for a good nights sleep. Cooked to Order Breakfast was amazing. Nice looking hotel and the location is very convenient for the railway station and centre of town. Staff friendly and helpful. Really interesting building, well located, generous towels. There have been some very critical posts about this hotel, mainly things not working, but we did not have that experience. You pay extra for car parking, not unreasonable in a city centre location, but there was no quibble or attempt to charge us extra when we left the car for a couple of extra hours after checking-out. The staff were amazing and made me feel warmly welcomed. If I'm ever traveling again to Leeds, I'll choose this hotel again. The room was comfortable and the location was central. 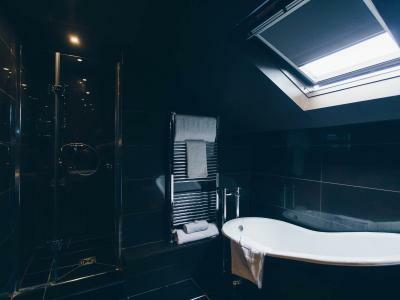 Great Victoria Hotel This rating is a reflection of how the property compares to the industry standard when it comes to price, facilities and services available. It's based on a self-evaluation by the property. Use this rating to help choose your stay! 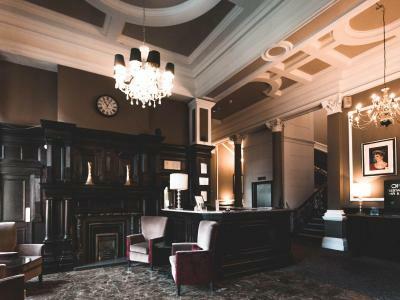 One of our top picks in Bradford.Built in 1867, The Great Victoria Boutique Hotel is a landmark Victorian building, located opposite Bradford Interchange and rail station. Guests can enjoy free WiFi. This hotel is within walking distance of theaters and the National Media Museum. Great Victoria has 2 restaurants: the Corniche Restaurant Bar and Grill and the R Bar, serving food with European influences. Each of the 70 stylish and individually designed rooms comes complete with a flat-screen TV and a 2-line telephone. The bathrooms have bespoke toiletries. Guests at the Great Victoria also have free use of an on-site gym. When would you like to stay at Great Victoria Hotel? This fourth-floor room is individually designed. Requests for specific rooms can be made, but these are subject to availability. Private parking is available on site (reservation is not needed) and costs GBP 3.50 per day. This spacious room offers a desk and a separate living area. It also includes a bathroom. This room is suitable for up to 2 adults and 2 children. The z-beds for the children are only available upon request and are subject to availability. This single room features a satellite TV, electric kettle and sofa. 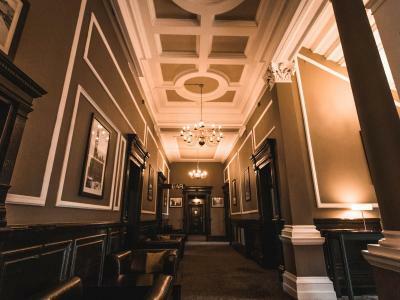 House Rules Great Victoria Hotel takes special requests – add in the next step! Great Victoria Hotel accepts these cards and reserves the right to temporarily hold an amount prior to arrival. Please note the elevator is not accessible on the fourth floor. Guests paying in cash will be asked to pay a security deposit of GBP 50 for incidentals. This deposit is fully refundable upon check-out and subject to a damage inspection of the accommodations. The restaurant was meant to be open til late but it closed before we arrived (despite being informed at check in it was open and being handed a menu). The breakfast appeared to look lovely but upon tasting seemed to have a strange, almost chemical taste. My partner refused to eat his and I left most of mine. Nice room with comfortable bed and separate mini lounge area. Location is great for those travelling by train as its opposite the station. First room I had was too hot but a fan was provided. Unfortunately the very impressive renovations were not finished. There were gaps between the bathroom floor tiles and the door frame and the wardrobe interior had not been touched. I entered the room impressed but shocked to find the wardrobe looking scruffy. It was a shame that these finishing touches had been left. Also, the tv remote did not work and there was a power cut from 7am the next morning. I had to shave by the light of my mobile phone and do without a shower and coffee. The bed was quite firm, certainly firmer than we're used to, but this didn't really have a negative impact on our stay. Disappointed with the coffee at breakfast, served from a 'thermos' flask type receptacle and in a hotel of this calibre I would expect 'proper' coffee. Lovely Victorian hotel that is being refurbished. All the staff were extremely friendly and helpful. 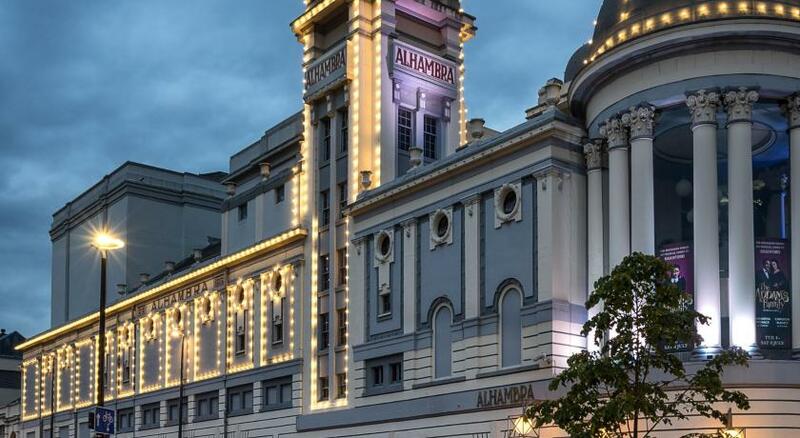 The hotel is in a great location for the centre of Bradford and only a few minutes walk from City Square and the Alhambra Theatre. The beautiful architecture of St George's Hall is next door and the transport interchange is across the road. Breakfast was very good and the atmosphere in the dining room was relaxed. Room 106 - No space to sit down properly on the toilet as there is a sink right in front of you, we had to sit on it sideways! Only netting in the bathroom and at night there's an issue of privacy when the lights go on as the public can see you. The bedroom had 2 windows but one curtain, light comes streaming in. This will wake you up early at sunrise or a day time nap. We were offered another room but they were no better. Each room varies On a Sunday early morning, there was a church choir directly under our room and they had music and singing out loud from early this woke us up (no prior notice of this was given) There is a constant smell of paint. The rooms need to be better ventilated. I was told my room had been recently renovated which it had but the finish was terrible. Paint splatters everywhere, basically a paint job over old work! No AC and we stayed on 20th April which was the hottest day of the year and to make matters worse the radiator was on FULL BLAST! I was dehydrated, sweaty and miserable as I didn’t sleep at all. They gave me a fan. A guy came to the room and said he’d turned the radiator off, clearly not! Also they put us in room 121 which faces the bus station so the noise was unbearable all night long. Really disappointed. They make you pay for parking as well. no door handles on wardrobe just a little thing. Room unbearably hot. Fan too small to be effective. Coffee terrible. Staff were friendly, polite and efficient. Grandson liked the " COOL " door. ( Revolving ) perfect location. The strong smell of paint in the room. Traditional Victorian hotel with all its elegant charm. The room was a good size and had recently been renevoted.